There’s nothing more refreshing for hot summer days than a slice of watermelon. For one thing, watermelons are abundant in water – in fact, over 90% of watermelon content is water. Plus, this fruit contains L-citrulline, a rare and important amino acid that promotes proper body hydration and cell regeneration. This amino acid cleanses the kidneys, gall bladder and bladder, and improves their function. In other words, it’s important for optimal body function. Aside from the perfect refreshment this fruit offers, it also comes packed with numerous health benefits. On the plus side, you can easily convert watermelon into juice, which makes its consumption even more convenient. Add a few ice cubes, and you’ve got yourself the perfect summer drink. Read on and find out why watermelon juice should become your staple this summer. Watermelon is full of powerful antioxidants such as vitamin C and beta-carotene, which converts into vitamin A once ingested. These compounds are highly effective in neutralizing the side effects of free radicals in the body including premature aging. 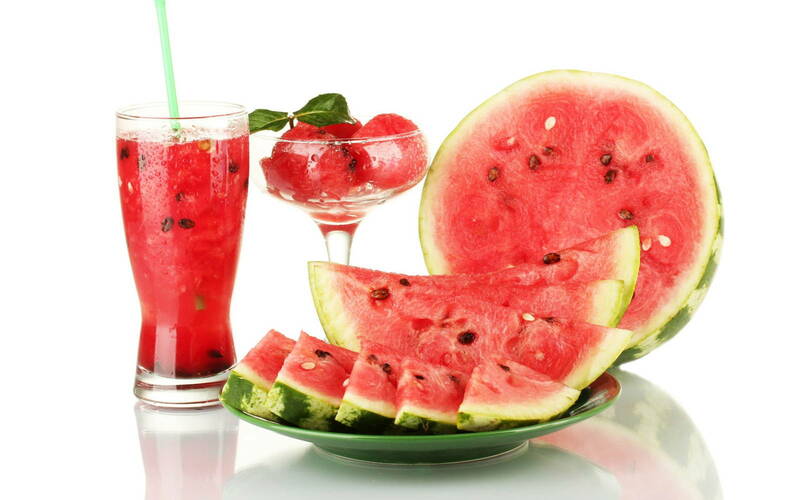 Moreover, watermelon is beneficial for fighting conditions like heart disease, asthma, arthritis, and cancer. Last, but not least, this food improves vision and boosts immune system function. Lycopene is another important antioxidant that fights the effects of free radicals and all types of inflammation in the body. A number of studies have confirmed that lycopene is vital for fighting cancer, especially colon, lung, stomach, prostate and pancreatic cancer. A study published in the American Journal of Clinical Nutrition found that people affected with colorectal polyps, which typically precede colorectal cancers, had 35% lower lycopene levels, as opposed to people who did not have polyps. In fact, this powerful antioxidant prevents DNA cell anomalies and supports proper cell function. In addition, lycopene nourishes the skin and prevents wrinkling and aging. B6 is the crucial vitamin for proper brain function. It suppresses anxiety and depression. Plus, it alleviates PMS and other menstrual cycle symptoms. All in all, regular consumption of watermelon juice will improve nutrient absorption in the body, strengthen your immune system and boost your health on many levels. Recommended: Boild Watermelon Seeds, The Results Will Shock you !